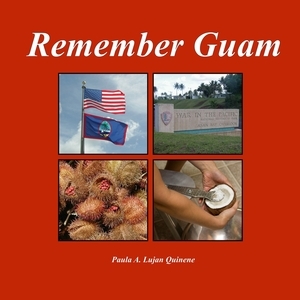 ...a Filipino dish found at many Chamorro parties. 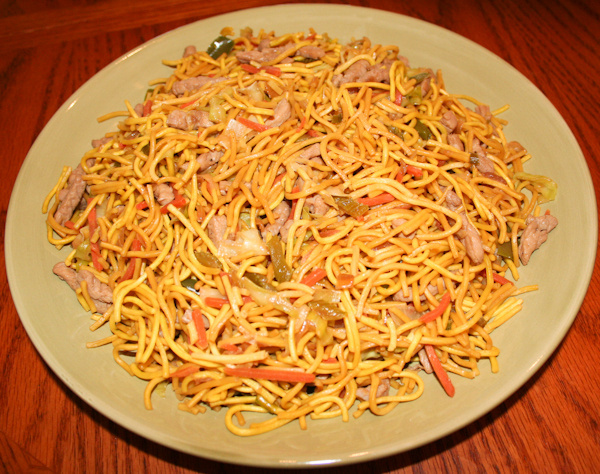 Pancit canton, pronounced pan-sit can-tohn, uses the Filipino or Chinese canton noodles. The key to cooking these noodles is to steam them atop your sauteed vegetables and meat for several minutes. 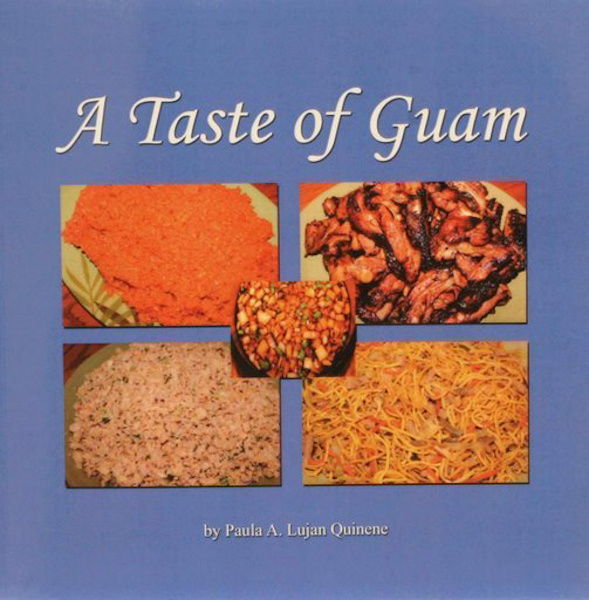 This pancit recipe in A Taste of Guam is an excellent meal all by itself. You may use beef, pork, shrimp, or a combination. Instead of "scissor crossing" two knives to cut the noodles once they are cooked, slightly crush the noodles before removing them from the bag. Pancit can be quite oily. You may have to add a bit more oil to this recipe if you like your pancit really shiny and slick.